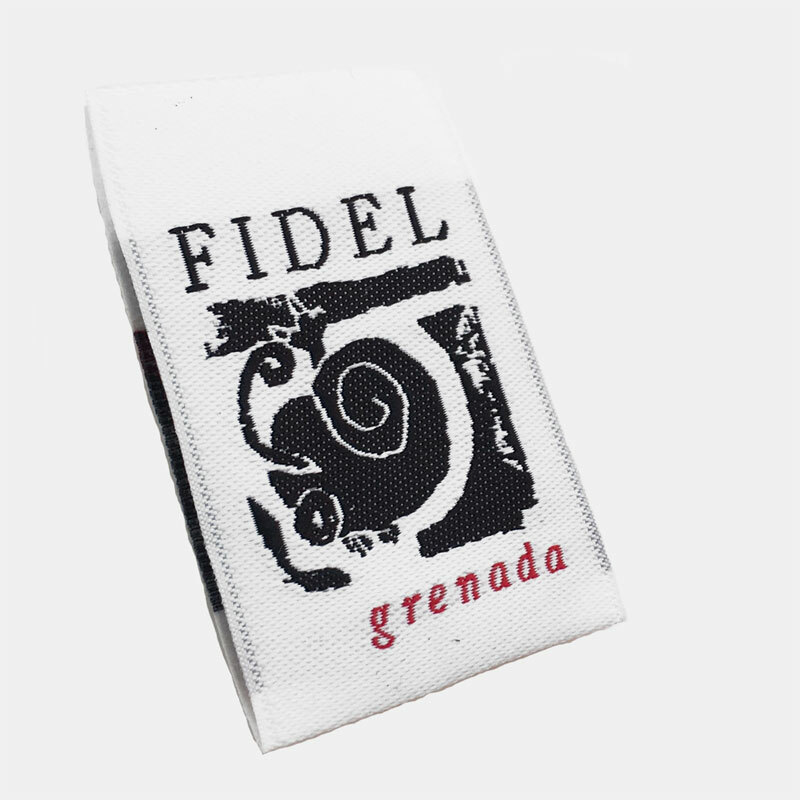 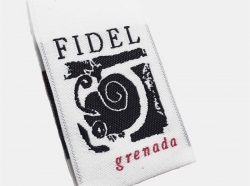 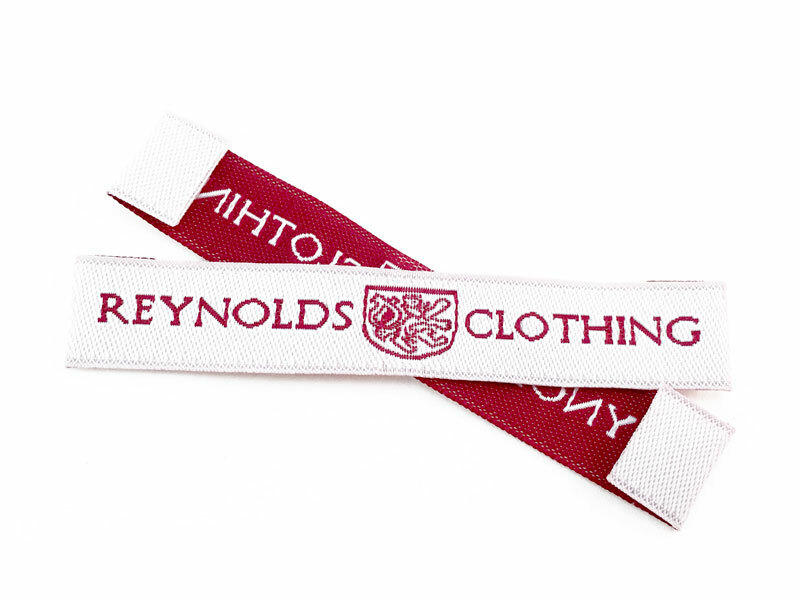 One of the important factors to decide when creating your custom clothing labels is the fold, some of them are available to certain styles. 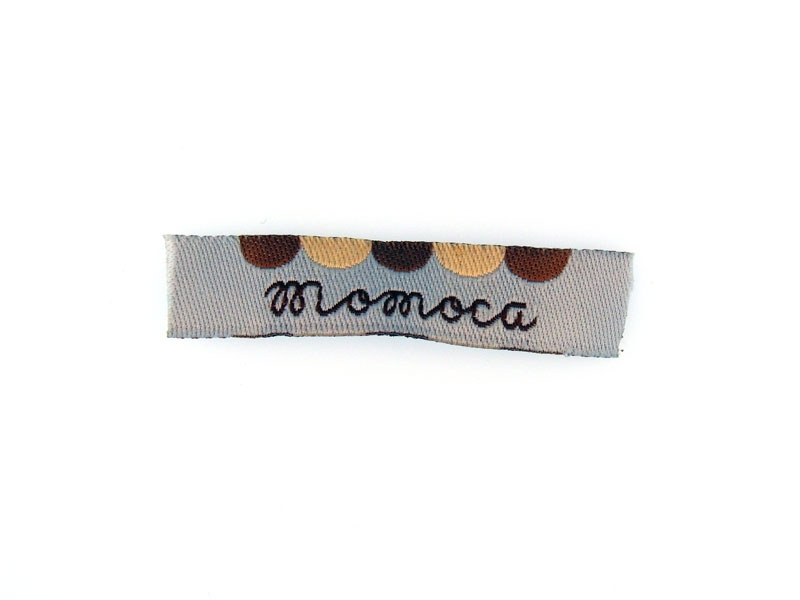 Let’s illustrate them with a small sample of some previously made labels. 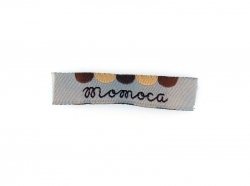 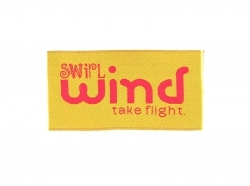 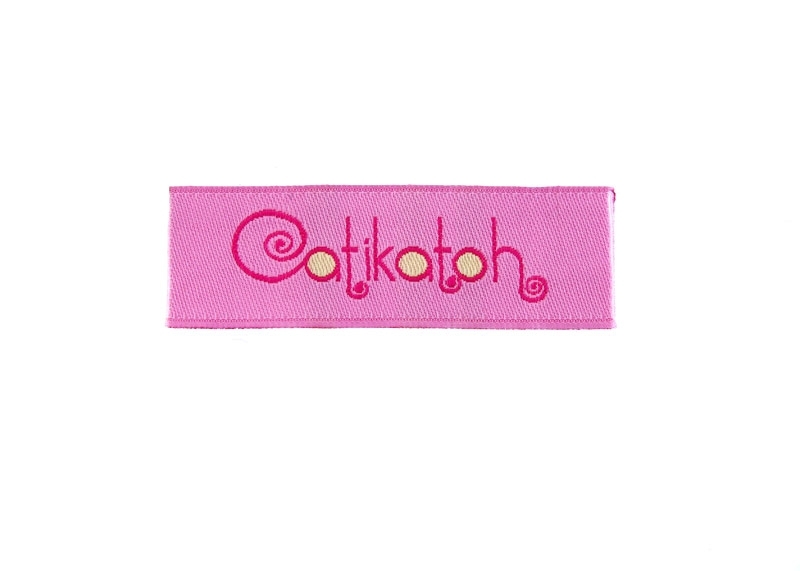 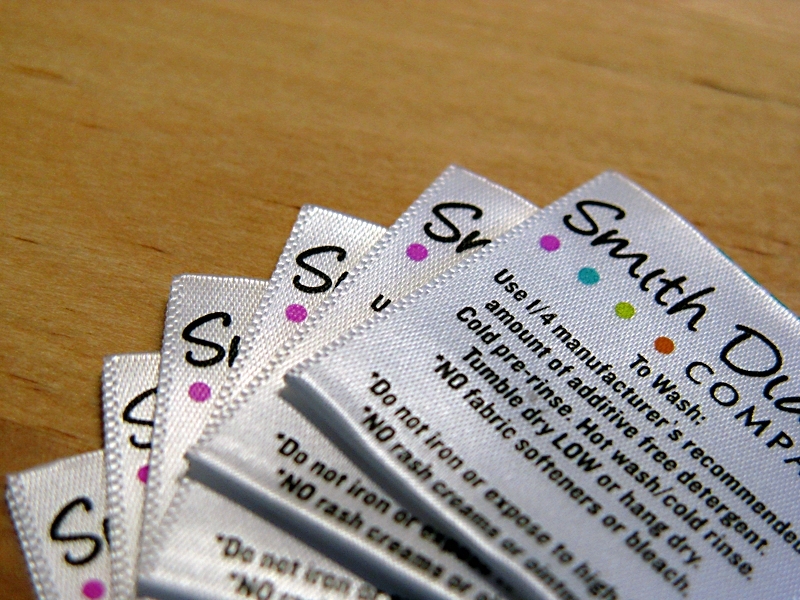 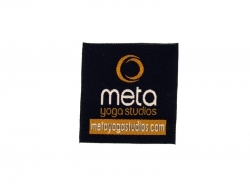 These labels are not folded and can be sewn from anywhere. 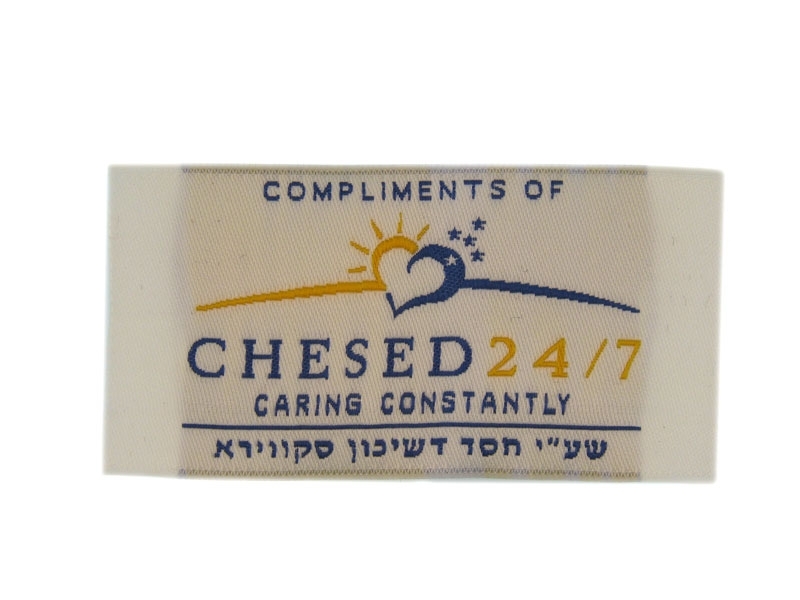 Most edges will not fray, as they will be heat-cut. 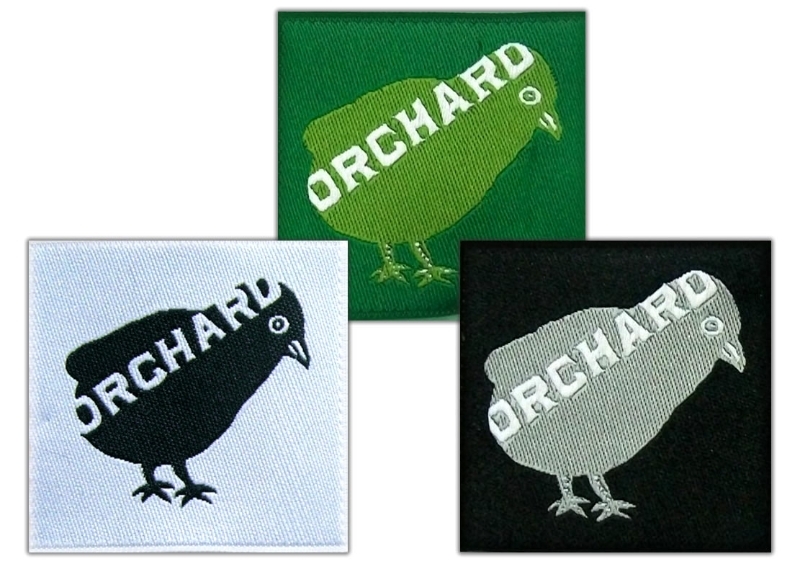 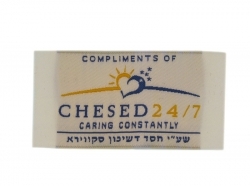 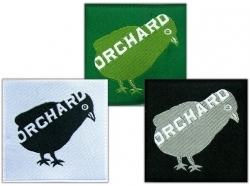 Available for both woven and printed labels. 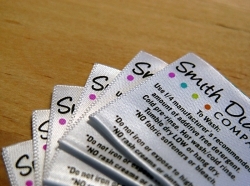 Center-fold labels are labels that are folded in the middle of the label. They are also called loop or mid-fold labels. 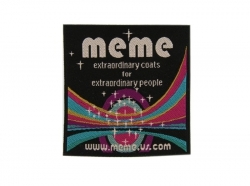 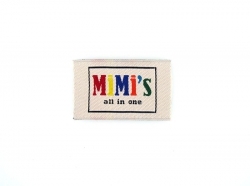 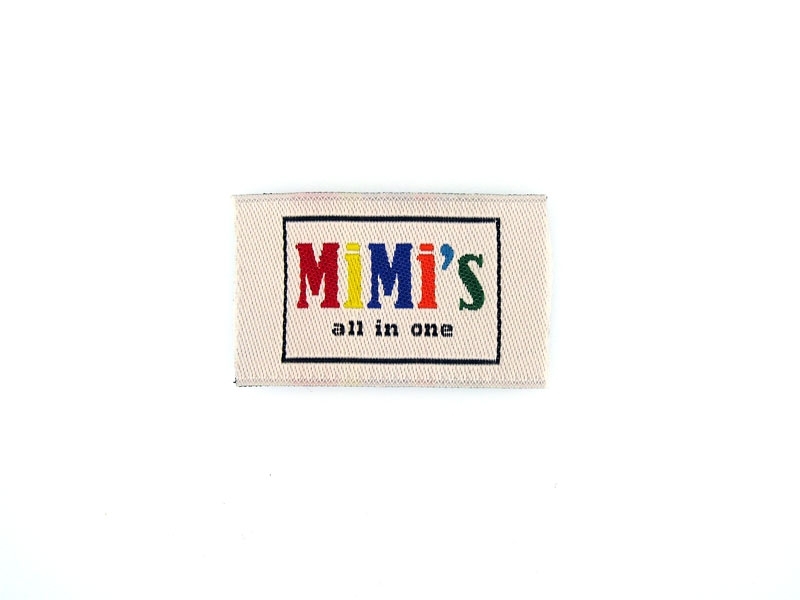 They are usually found on the inside of the garment, such as the neck of a t-shirt, as a brand name or logo label, or on the inside of the garment as a care and content label, and lately the very popular hem tag, which is sewn on the outside bottom seam of a t-shirt, with the label encased in the hem. 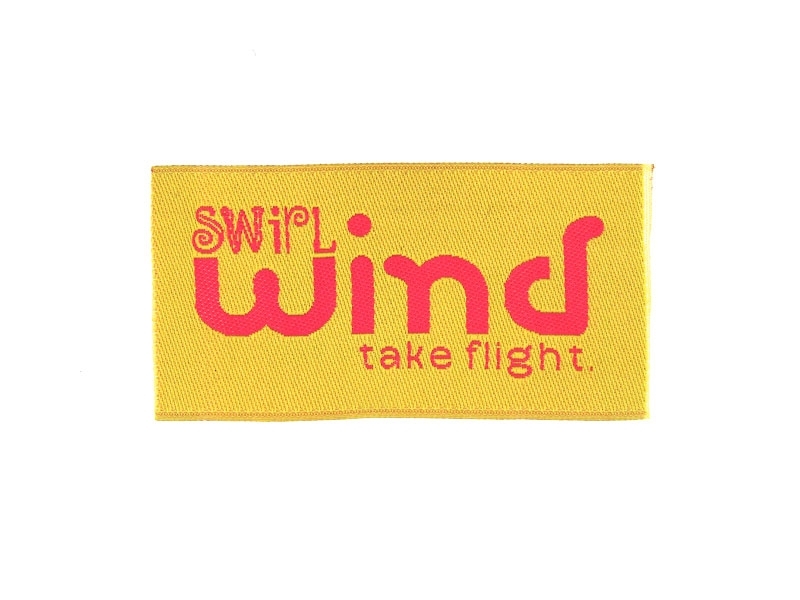 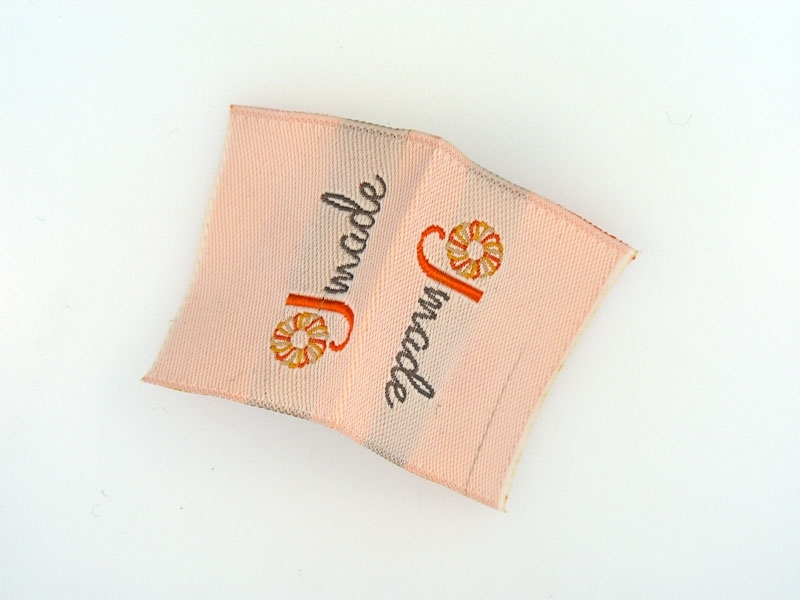 Ends-Fold Labels are labels whose ends are folded (usually a 1/4″ fold) so the ends look smooth finished. 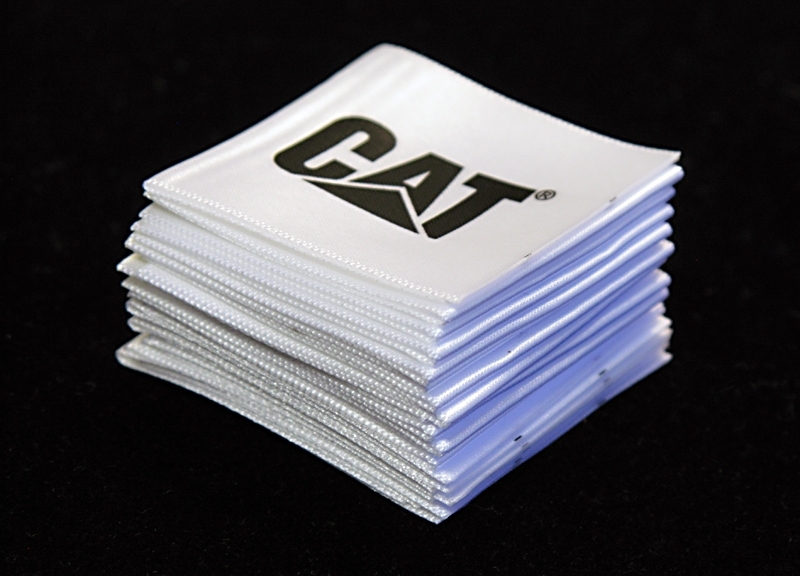 They are very commonly used in printed labels of natural materials, to protect the fragile edges from fraying. 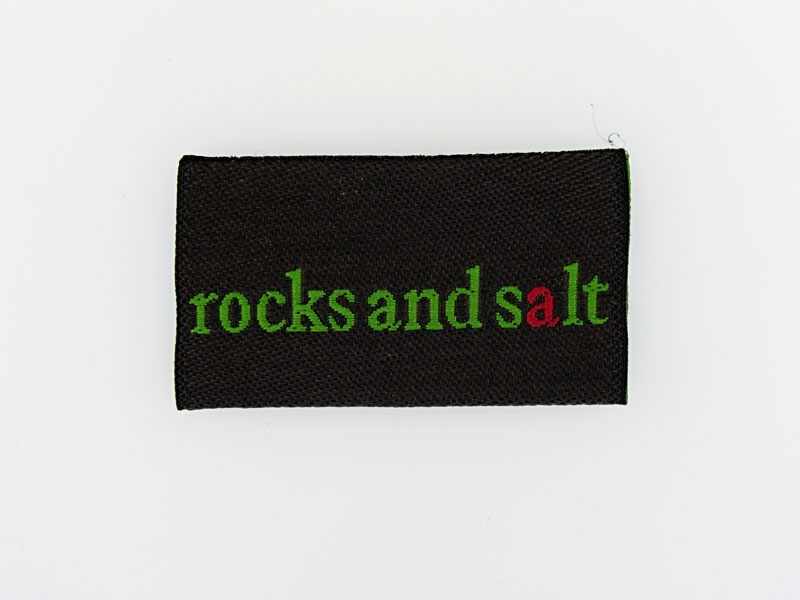 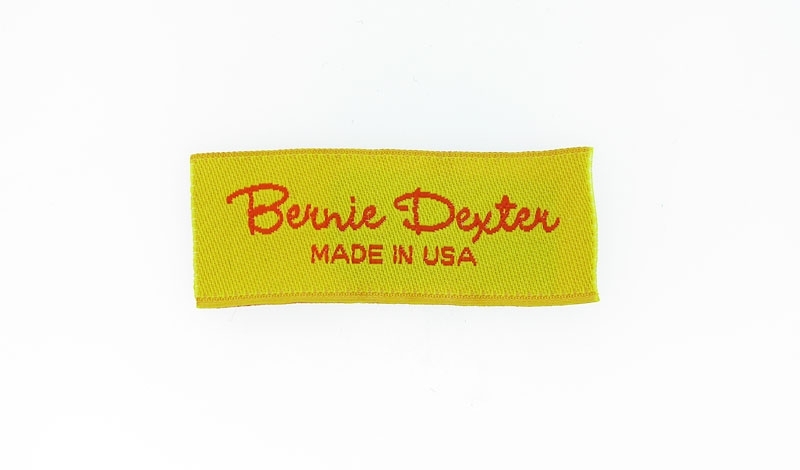 Available for both woven labels. 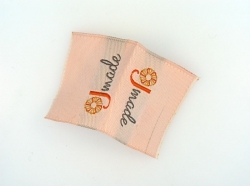 Mitre-Fold is a ends-fold fold done at 45 degrees, creating two tabs from where the label will be attached to the garment. 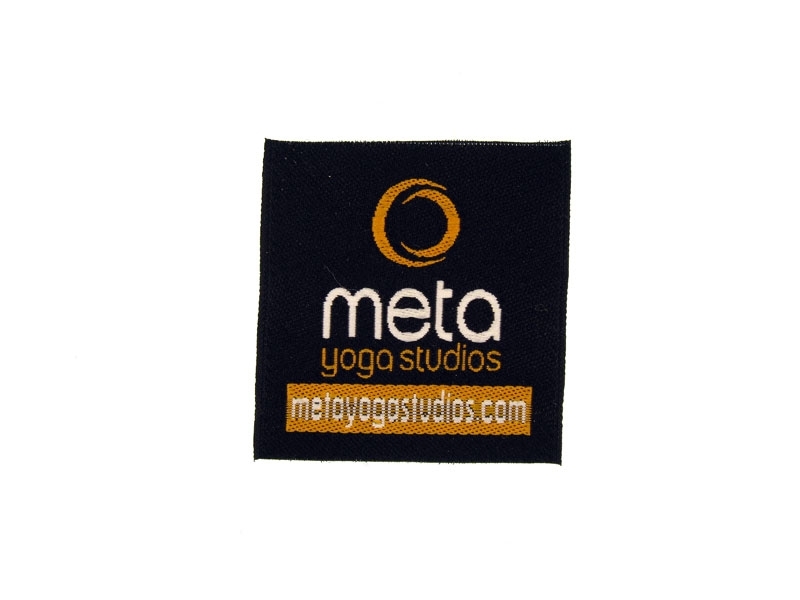 Manhattan fold is a combination of ends-fold and center fold, creating a label with 3 folds, which can be used as an outside hem tag, and will provide a smooth look as both visible ends will be folded. 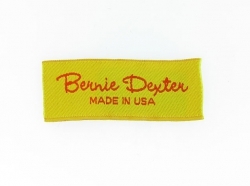 Available only for woven labels.